As the Kilimanjaro Warriors embark on this monumental goal for recovery, we would like to send well wishes and encouragement to RB Helterbrand as he begins to tackle a mountain of his own. We are rooting for you, RB! The Kilimanjaro Warriors had an early and wet morning as they departed their hotel for Mount Kilimanjaro. They began their trek from the western side at Londorossi Gate, starting at 7,742 feet. They hiked for four hours, covering three miles of rainforest. The trail gently ascended through the montane forest to their first camp. Upon arrival into camp, they found their tents set up with their personal belongings inside. Tonight they will rest in the Kilimanjaro rainforest under the Mti Mkubwa, which means “big tree” in Swahili. 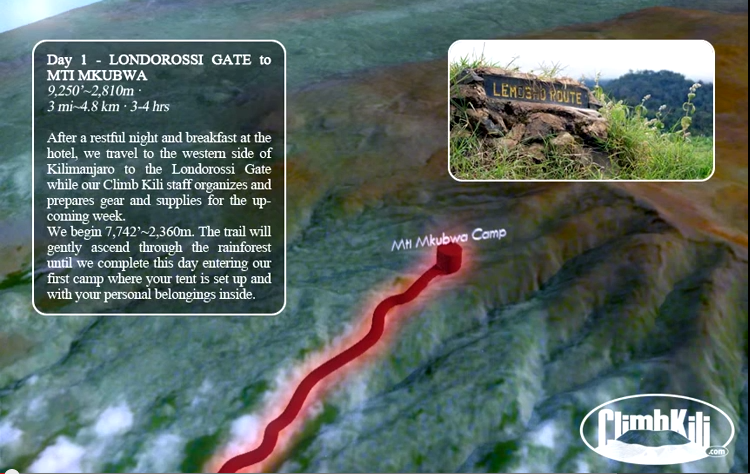 The Kilimanjaro Warriors are taking the Lemosho route up the mountain. 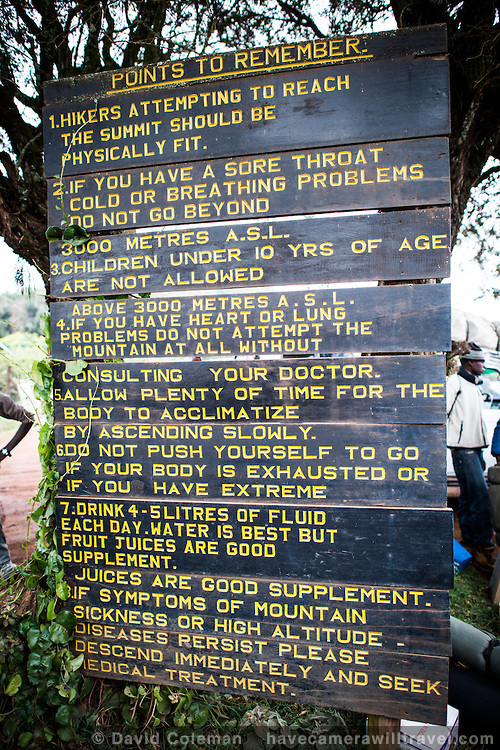 To learn more about their route, watch the ClimbKili video below. Tomorrow the team will head through the heath and moorland zone, followed by a desert plateau. The warriors will definitely encounter a wide range of landscapes, temperatures and weather on this journey! Thanks for following and sharing our story! May God bless and keep each of you on this monumental journey.